When is there a time when it is more important to win new business than in a period of economic slowdown? Optimizing your website brings new customers, and if you have an e-commerce site, more sales. In an case you'll increase your website ROI. 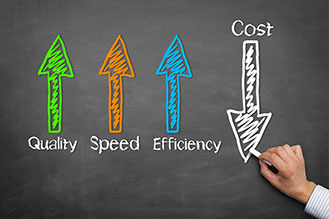 The first thought, for many business owners, is to cut costs wherever possible. The leaders in any field realize that investment is necessary especially in tough times. How can an Optimized Website Help Me? You could hire another salesman or two. This would certainly increase your turnover, but it may be too expensive. What if you could pay a salesman for one month and he would work 24/7/365 year after year and never get tired? Would you do that? Your website should be like such a salesman for your company. This is and always has been the promise of the World Wide Web. 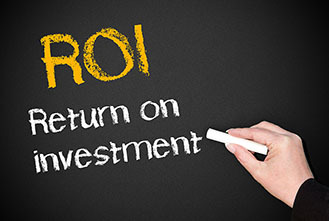 Does your Website have the ROI you expected? If you answered "yes" then you most likely belong to the lucky 5% of sites that are truly optimized for business. That means that a full ninety-five percent (95%) of websites miss the mark (or the promise). Most sites miss it by a very wide margin.